The Miracle of the Smallest Blessing! We so often get caught up in all the big, bold things of life! 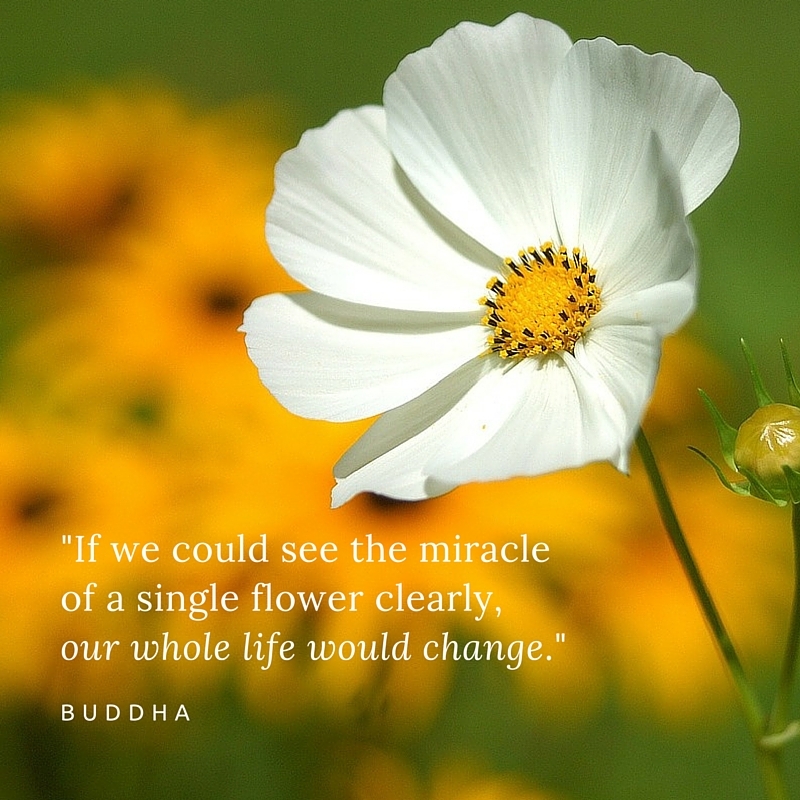 What if we could slow down, and take the time to really see all of the many small miracles around us? How many blessings are we missing, by the fast-paced, multi-tasking way we live our lives? Children are our greatest teachers. They are so in the moment, and so awed by the simplest of things — a fallen leaf, an interesting bug, an oddly shaped rock. They learn by seeing, touching, smelling, listening, and tasting. Their 5 senses are their daily guides. If we could stop our rushing around, and truly look at, and wonder about, the smallest details of life, we would behold a brand new world! It would be new, because we would be really seeing it — seeing it with very different eyes. I believe we would also be seeing it with grateful hearts, hearts full of joy. Isn’t it time to give yourself that gift? Slow down, breathe easy, and take in the many miracles all around. And don’t miss the smallest ones!